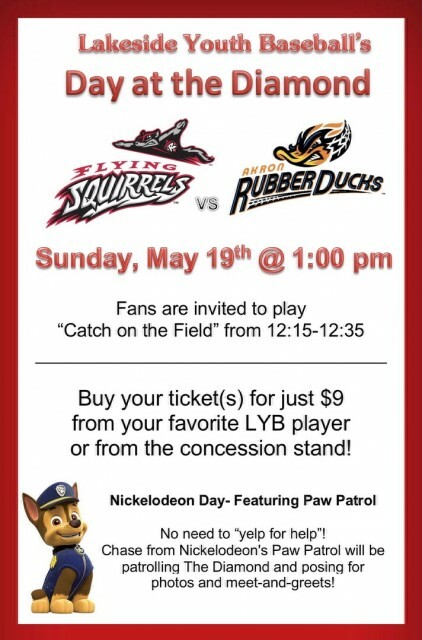 Come out and support LYB and our hometown Squirrles! Fans are invited to play "Catch on the Field" from 12:15-12:35 so come early! It is also Nickelodeon Day - Featuring PAW PATROL!!! Buy your ticket (s) for just $9.00 from your favorite LYB player or from the concession stand!